Composed by Jamey Aebersold. Play-Along series with accompaniment CD. Jamey Aebersold Play-A-Long series. 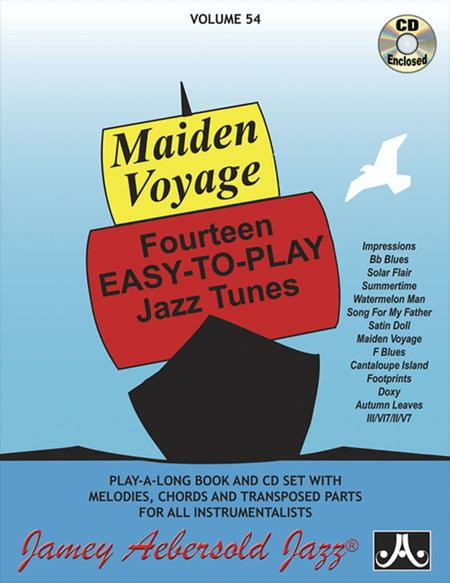 Make the transition from playing scales and chords, to playing jazz standards. Book & CD. Published by Jamey Aebersold Jazz (JA.V54DS). Beginning/Intermediate. Standards and "workouts" for making the transition from playing scales & chords. An excellent resource for beginning improv. Features slower tempos, easier changes, and specific tips on approaching soloing. Scales written for every chord change. Perfect for High School and College music directors! RHYTHM SECTION IS: Rob Schneiderman, Piano; Rufus Reid, Bass; Akira Tana, Drums. I've been teaching for 30 years, and I usually start first time improvisors with this book. The tunes are good, the chord changes are easy and the scales are mostly written out. It's a fun learning experience. 26 of 54 people found this review helpful. A good Aebersold to get first. 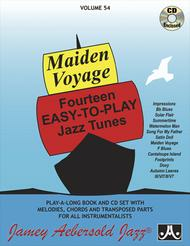 The tunes are easy for those new to Jazz improvisation and fun to play as a professional. 47 of 94 people found this review helpful.